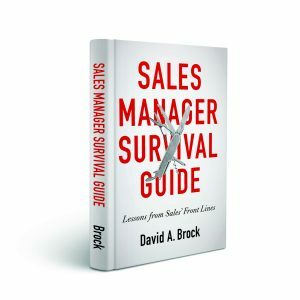 There’s a lot of stuff written about what sales managers have to do and their key job responsibilities. Some of the laundry list items include: Make sure the team makes the number, develop the strategy, manage the forecast/pipeline, manage performance, recruit, train, coach, and on and on. There lots of ways we see managers behaving. Some seem to think they have to be super sales people–the person that comes in to close the deal. Others act primarily as administrators, trapped behind a desk, analyzing numbers, internally focused, never out with their people with customers. The sales manager’s job can be very confusing. Managers are pulled different directions, various people competing of their time, continually shifting and conflicting priorities. All this makes the first line sales manager’s job one of the most difficult and challenging jobs I can imagine. 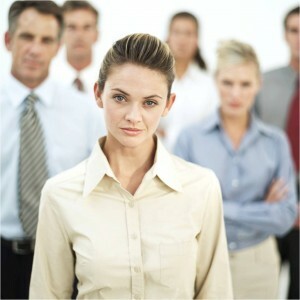 If you wipe away all the extraneous stuff, the only goal of the sales manage is to develop their people. “Sales manager are responsible for making the number!” Actually not, unless the sales manager has a personal territory, the only way the number can be achieved is through the people on the team. Consequently, the goal of the sales manager is focused through their teams, developing each person to perform at the highest levels possible. Development of people encompasses all sorts of things. These include, making sure we have the right people on board, that they are deployed in the territory most effectively. It includes making sure they have the right skills and capabilities. It includes having systems, processes, tools, programs in place to support their teams in performing at the highest levels. It’s making sure they have the right resources and support. It’s measuring performance, identifying problem areas, coaching and helping the sales people overcome them. It’s providing the right incentives. It’s addressing problem performance. A lot of this sounds like the normal stuff great sales managers do. But the context is different. The context of all of these are rooted in the core goal of developing their people. Without this, it’s impossible to evaluate the right things to do, to set the right priorities, to deal with the conflicts and paradox that happens in every organization. As the manager assesses the team and each individual, the context of developing their people to perform at the highest level possible becomes the “True North” for evaluating everything, every one, and how the manager invest her time. Anything that does not contribute directly to the development of her people must be stopped. Great leaders know this secret. So while the activities great leaders perform may look the same as their poorer performing peers, the real difference is the clarity great leaders have on developing their people. 1) Do the sales managers know this? 2) Do they have the skill set to carry out this important objective missions? 3) How is the overall organization emphasizing this and supporting this objective? Interesting I am working on a “smart thinking project” with a very successful leadership and mentoring organization that has been developing their people for over 200 years! Yeah 200 years and the organization is called The U.S, Marines. Think they know a little about personnel and leadership development? How about strategy, decision making and treamwork? Fortunately I have had the good fortune to be befriended by U.S. Marines and other veterans. They have a wealth of knowledge and all we have to do is ask. If anyone is interested or if you are interested in this project contact me and we can talk. Dave, as my good friend Col. John Church USMCR would say “keep attacking”. In the military (Norwegian special ops) we focus on respect, responsibility and courage every single minute of the day (RRC) – and I guarantee that works very well i sales as well. The U.S. Marines definitely understand leadership. Read the book “Leaders eat last” by Simon Sineck. Thanks for joining the discussion Tom. As Doug points out very frequently, we can learn a lot from the way military organizations work–both in terms of leadership, mission focus, commitment, training/development, team work, execution, and so forth. Simon’s book is great! Another of my old favorites originated as an Ops Manual in the Marines and has been published as WarFighting. Thanks Tom. You and I could not agree more. I am afraid though that many high level executives might not share this view. In the name of shareholder value they are still chasing after the number and forcing first level sales managers to do the same. Christian: Sadly, I think you are right. If they only realized an outcome of “developing your people” is getting the number. I agree if you have the right sales manager. But more often than not, the wrong sales manager has the job and this kind of thinking spells future disaster. 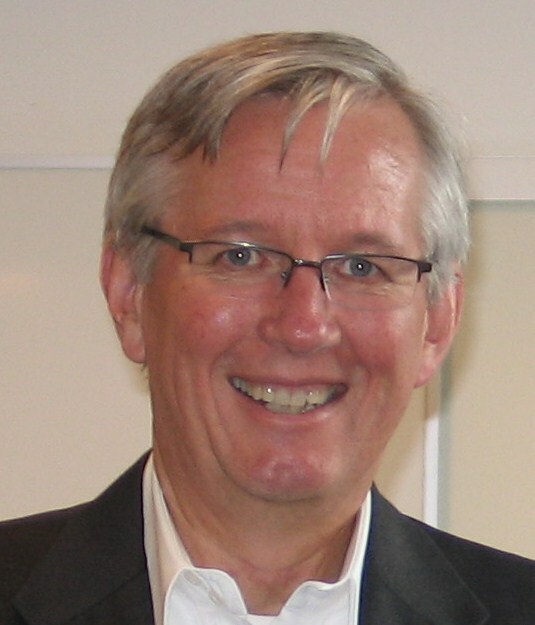 Soft sales managers kill bottom lines. I have met soft sales managers who believe the only goal is to develop their people and they never last long because mentally they are ok with missing their number. They are already are or become soft on getting results. I have seen CEOs with this same thinking. They never last long either unless there is some significant competitive advantage. A soft CEO will accept that excuse. The little old lady who put her life savings into companies like this – they depend on the focus being on making the sale. The focus needs to be on making the number. John, thanks for the comment. You raise some interesting issues. 1. Soft managers are a problem–basically we have to get rid of them, they will never perform to the levels we need to. As you suggest, they hide behind activities, busyness, or other kinds of things. They never tie the activities and things they do to the expected outcomes. High performing managers directly tie things like developing people to outcomes. They know these types of developmental activities produce these kinds of outcomes, and others don’t. They focus on the activities, etc that product the desired outcomes. 2. Soft CEO’s are the same. They will accept excuses, they don’t care about performance or making the number. They will continue to lead organizations that under perform until the board gets impatient with the absence of results and finds a CEO that will drive performance. If it’s their own company, they will never be a leader in their segment, they typically get what the can get, but never reach their full potential. 3. We don’t disagree that we need to be focused on creating outcomes that produce the number. But you can’t manage an outcome. Focusing on the number doesn’t enable us to make the number. You manage the activities that create the desired outcome. I think we may be saying the same thing slightly differently. To me it boils down to who the manager serves as number 1 priority. Is the purpose of the team to make the manager look good to higher management? Or, does the manager serve the team to make sure they are as effective as possible? These are two different things. Great point Ken. Unfortunately, too many managers think it’s the former, when in truth it’s the latter. It’s only through their people that managers get anything done. So if they don’t focus on developing the team, removing roadblocks, helping them become more effective, then they will never achieve their objectives. Both the team and manager look bad to everyone. Thanks for joining the discussion. Couldn’t agree more — get the people thing right and get out of the way as the business will grow, exceeding the numbers. 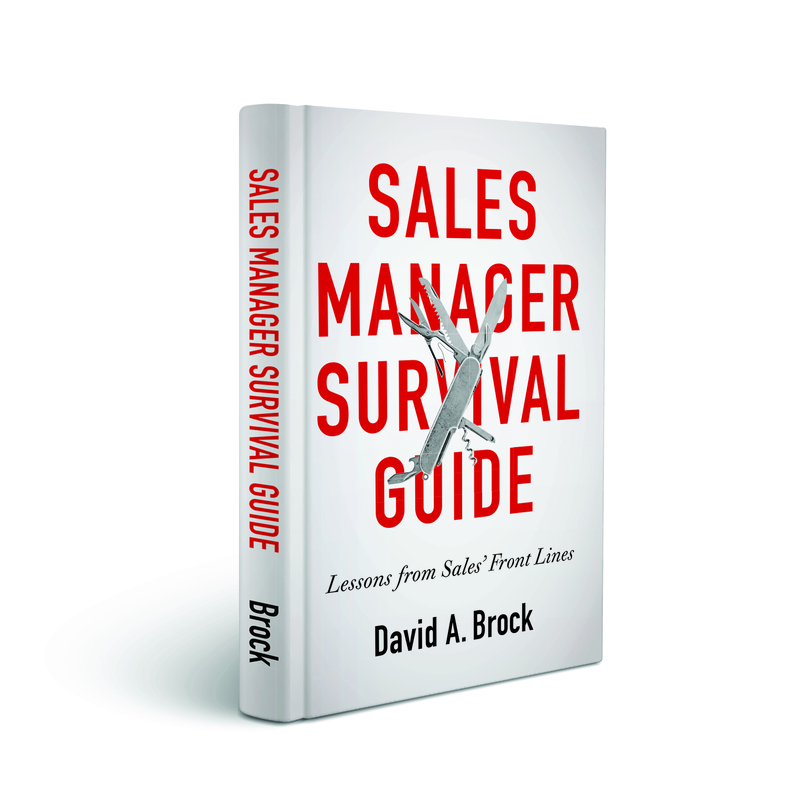 Sales managers have a tough job securing the tools the sales force needs to be successful. Through that process they too lead by example. Thanks Greg: It’s the people that get things done. The role of the manager is to help guide, develop, coach them, as well as providing the things that make them more effective. Thanks for the comment. Very good article Dave. I agree and would only add that developing people is every managers primary responsibility not just sales management. Too many managers believe that their responsibility is to “get stuff done” which of course is true but can’t happen consistently without developing people. Scott, you are absolutely right. This applies to every manager and leader in the organization. It’s their people that actually get stuff done, the managers provide the direction, coaching, tools and other stuff that help their people get stuff done. Thanks for the comment.